Step 1: You will receive your activation/redeem code via email upon purchase, please ensure to check your spam/junk folder for this email. 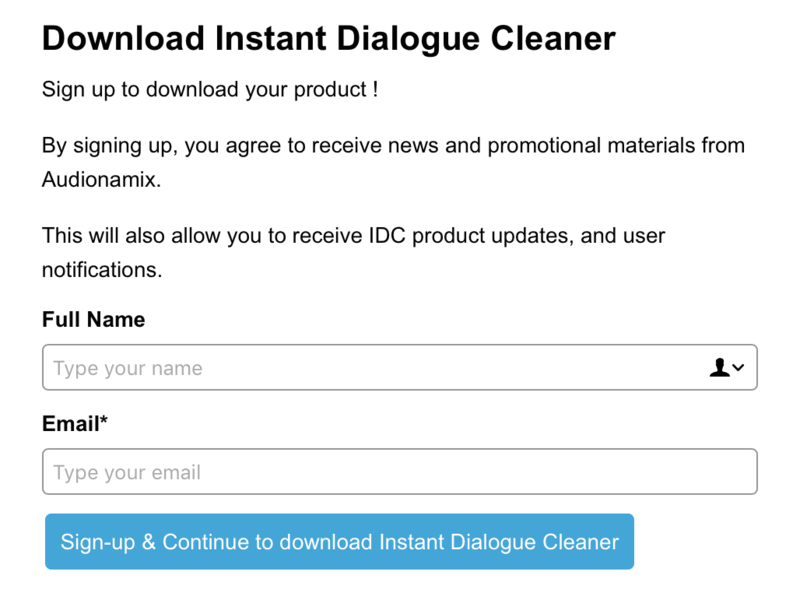 Step 2: Download your chosen product, you can download IDC at any time from the following path: https://audionamix.com/instant-dialogue-cleaner-download/ you will then have to fill out the following screen. Ensure to fill out the details of which you made an account with. 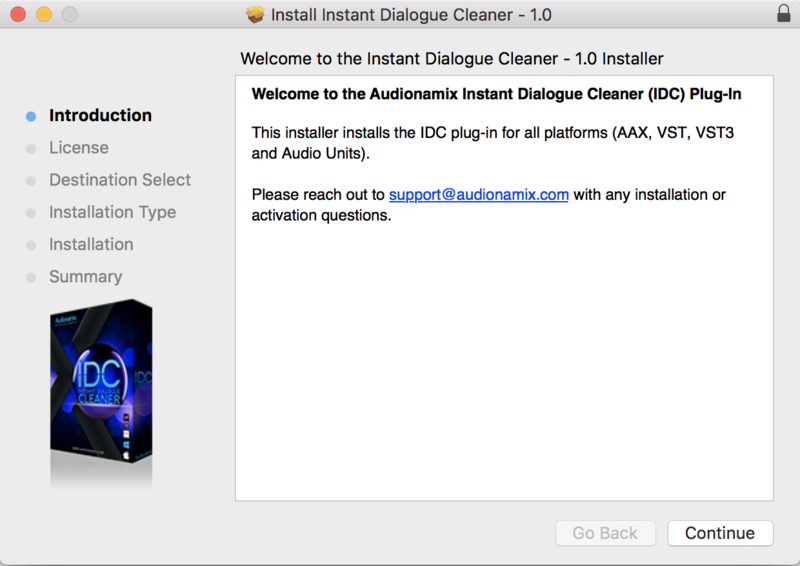 Step 4: Open your chosen DAW, and you will me prompted with the following screen. 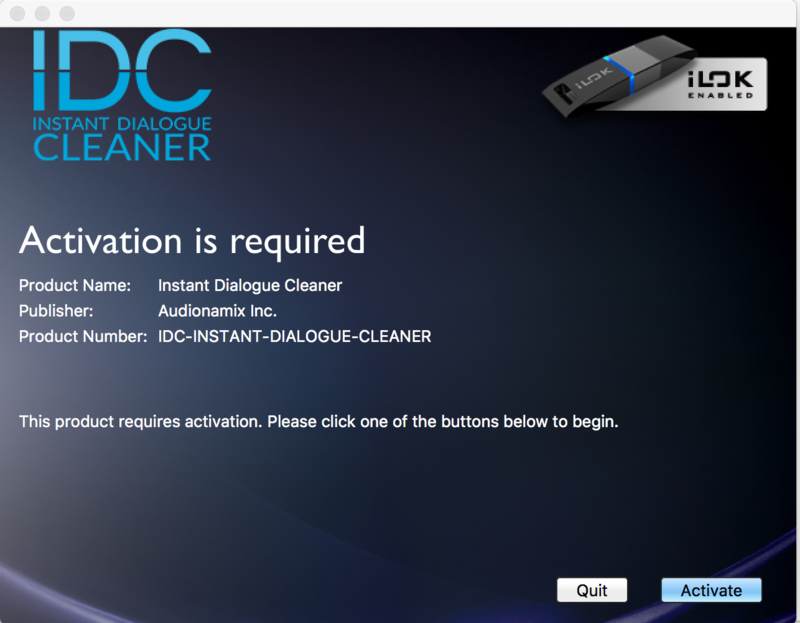 Click 'activate' and enter the serial code you were sent, and sign into your iLok account.